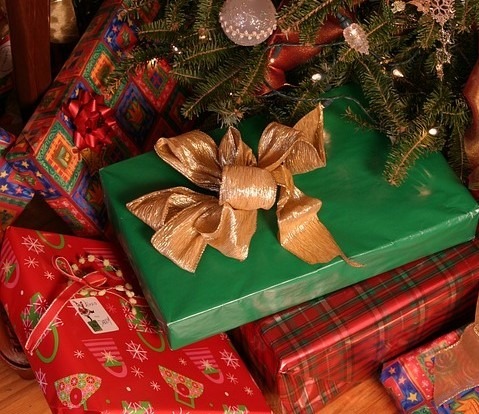 To avoid delivery delays during the Holiday Season, the United States Postal Service is encouraging customers to ship chrisntmas cards, gifts and holiday parcels early. Ground service for less-than-urgent deliveries and oversized packages. Service for standard-sized, single-piece envelopes and small packages weighing up to 13 ounces with delivery in 3 business days or less. Domestic service in 1, 2 or 3 business days based on where the package is mailed and where it’s being sent, variety of flat-rate options. Fastest domestic service, guaranteed overnight scheduled delivery to most locations. Some restrictions and exceptions apply. Please note, Priority Mail Express postage refund eligibility is adjusted for shipments mailed between Dec. 22 and Dec. 25. 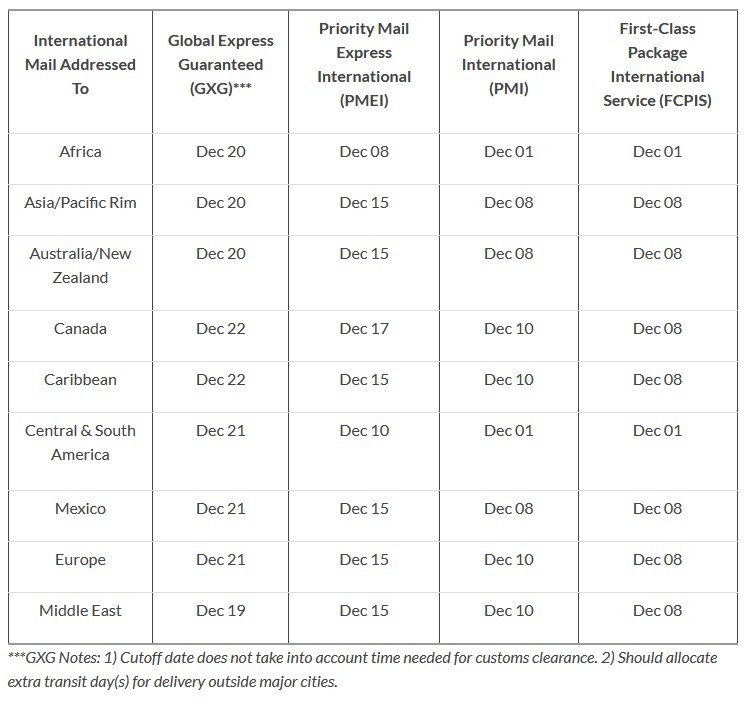 Customers mailing internationally during the holidays are advised to review the chart below for specific deadlines based on the locations they are mailing to and the service they are using. When mailing and shipping internationally, customers must also follow necessary customs guidelines. Visit the International Shipping page on usps.com for more information. 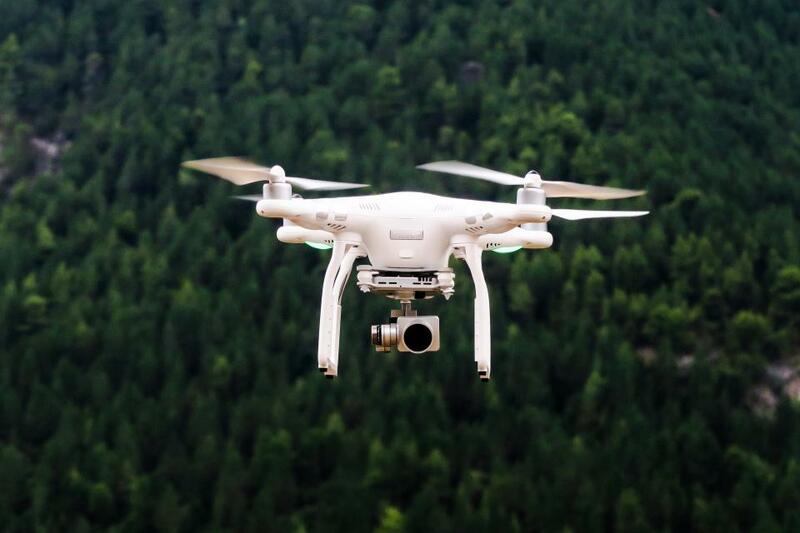 The Postal Service is committed to ensuring those serving in the nation’s armed forces and diplomatic service receive their presents, care packages and cards in time for the holidays. Complete military mailing deadlines to APO/FPO/DPO (Air/Army Post Office, Fleet Post Office and Diplomatic Post Office) destinations worldwide, as well as tips and guidelines, can be found at: http://about.usps.com/news/national-releases/2016/pr16_080.htm. As an added convenience, the Postal Service offers a wide variety of shipping supplies in multiple sizes at local Post Offices and online at usps.com. Some supplies, such as Priority Mail products, can also be delivered to the sender free of charge by going to usps.com/freeboxes. Customers may also ship using their own materials. 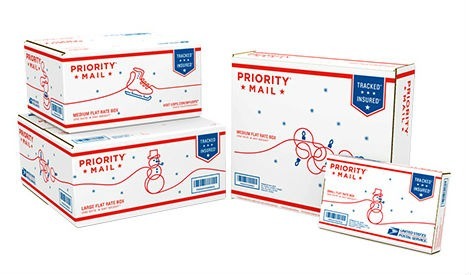 As a reminder, all packages weighing more than 13 ounces and bearing only stamps as postage cannot be deposited in collection boxes or given to letter carriers. These packages must be presented to a Postal Service employee at a retail window counter. For more news and information about USPS Holiday 2016 services, please visit USPS.com.